Want to learn more about the Health Benefits of Alkaline Water? These are 7 of the most popular benefits of drinking alkaline water. There are many more. 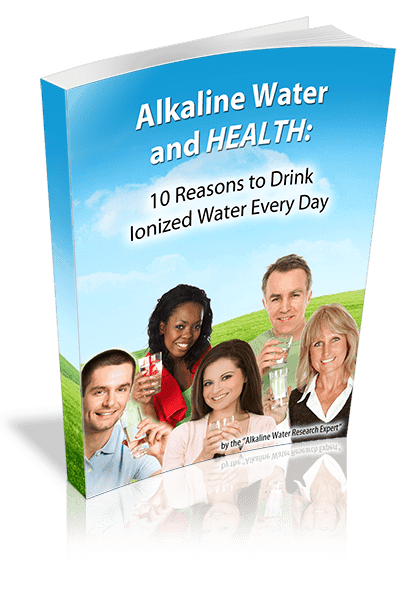 There are over 40 studies which document the many health benefits that people receive when drinking ionized alkaline water. Studies show there are 7 ways alkaline water helps you stay healthy. It can improve hydration, raise your pH balance, promote detoxification and even help you lose weight. Recognition of alkaline waters benefits is entering the mainstream: The prestigious Mayo Clinic now says that alkaline water has a link to good bone health. If you are looking to have the best health possible, here are 7 great reasons to drink ionized alkaline water. Alkaline Water Health Benefits weight loss – research indicates just the drinking of Alkaline water can help overweight people shed weight. Alkaline water is best for detoxification because it can quickly raise urine pH. That enables the kidneys to filter out toxic metals more efficiently. Alkaline water health benefits can raise blood pH by 40 – 70% in the blood’s normal pH range. 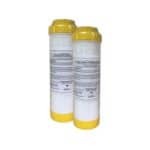 Alkaline water also raises the pH of urine quickly to the healthy alkaline pH range. Drinking alkaline water daily could help raise your pH balance help your body fight the symptoms of metabolic syndrome. Alkaline water appears to be the only safe way to tackle bone loss over the long term. The Mayo Clinic cited four clinical studies that showed a link between drinking alkaline water and reducing bone loss. They qualified their statement by saying further studies are needed to confirm the benefits over the long term, which is true. But what has been confirmed over the long term is that alkaline water won’t harm you the way all prescription bone medications do. If you are seeking to maintain healthy bones over the long term, alkaline water may be your only safe choice. Are you thirsty? The Centers for Disease Control estimates that 3 out of 4 Americans are chronically dehydrated. Older people are more likely to be dehydrated because they can easily mistake hunger for thirst. Drinking alkaline water may actually switch that thirst impulse back on, which would help you restore proper hydration. One way alkaline water helps you drink more water is taste. It tastes better than plain water, It’s sweeter, and feels more refreshing.Better tasting water can help you choose it over other beverages. “The more alkaline the water, the greater the protective effect on the arteries.” That’s a quote from one of the largest ever study reviews on the effect of alkaline minerals in water on heart health. Alkaline water is the best source of magnesium. Your body absorbs magnesium 30% faster and easier from water than it does from food or supplements. The World Health Organization recommends you get up to 20% of your daily needs for calcium and magnesium from the water you drink. Alkaline water is the best choice for mineral rich water because it’s easiest to absorb the minerals in it. Beat the 3 O’clock crash. Do you easily feel tired or winded after light exercise? If so, that means your body is in a state of metabolic acidosis – acidity is interfering with your blood’s ability to absorb oxygen in the lungs. Alkaline water health benefits can prevent the 3 O’Clock crash, and metabolic acidosis. Professional athletes alkalize their bodies before working out to increase their endurance. 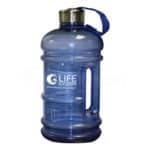 Alkaline water provides the alkalinity which fights off the burning feeling in your muscles. That burning sensation is caused by lactic acid, and it doesn’t help your fitness! Pro athletes know that it’s why they alkalize before working out. The longer they can hold off the burning sensation, the longer and harder they can train. Want to learn more about 7 ways Alkaline Water helps you stay Healthy? The evidence: Over 40 studies. Alkaline water for health was first studied in Russia in the 1950’s. Since then more than 40 studies have been done on alkaline water that reported positive results. Some of those studies have been blinded, placebo-controlled clinical studies. They are the gold standard for research. Health fads come and go, but alkaline water has been drunk for health purposes for centuries. 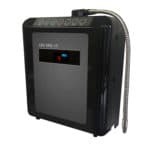 With a water ionizer, alkaline water is as close as your kitchen sink. Want to know if alkaline water can help you and more about 7 ways Alkaline Water helps you stay Healthy? Call us at 855 790-8121 for a free consultation. For more information on how the health benefits of alkaline water are backed by research, and why over 40 Pros choose LIFE Ionizers, and to see links to references, research, and pro athlete testimonials, please read the 7 ways Alkaline Water helps you stay Healthy.